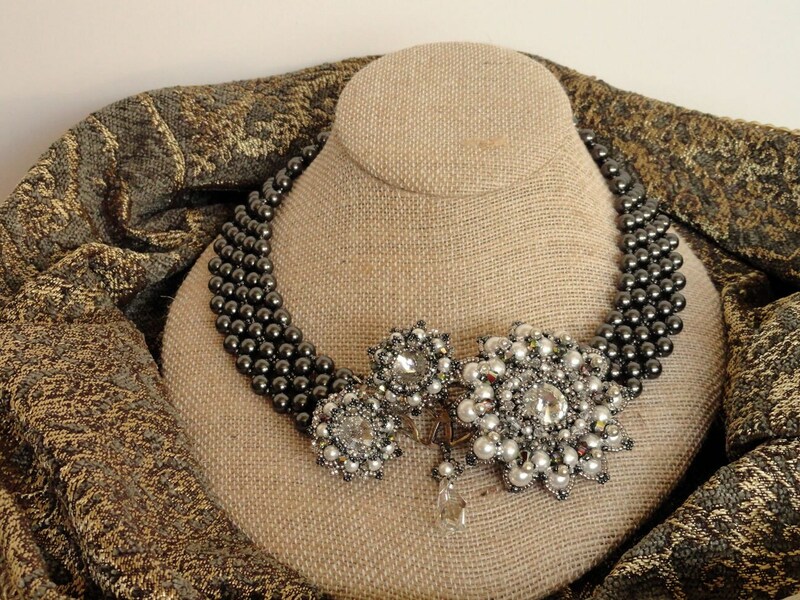 You need a stunning accessory to go with your little black dress for a night on the town, and this is the showpiece for that special event. 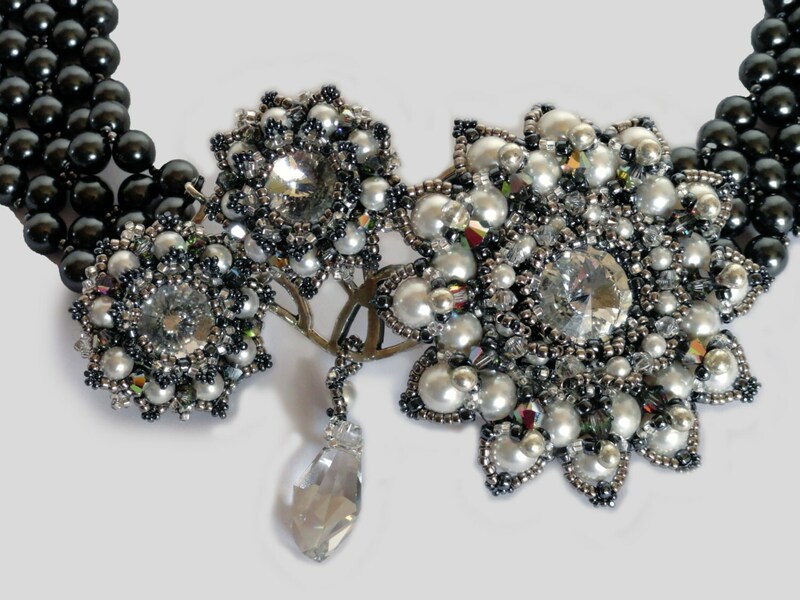 The central ornament is complemented by smaller components, completely stitched using a Swarovski crystal rivoli surrounded by picots of Swarovski crystals, pearls and seed beads in complimentary understated hues, and arranged asymmetrically on a sterling silver base. 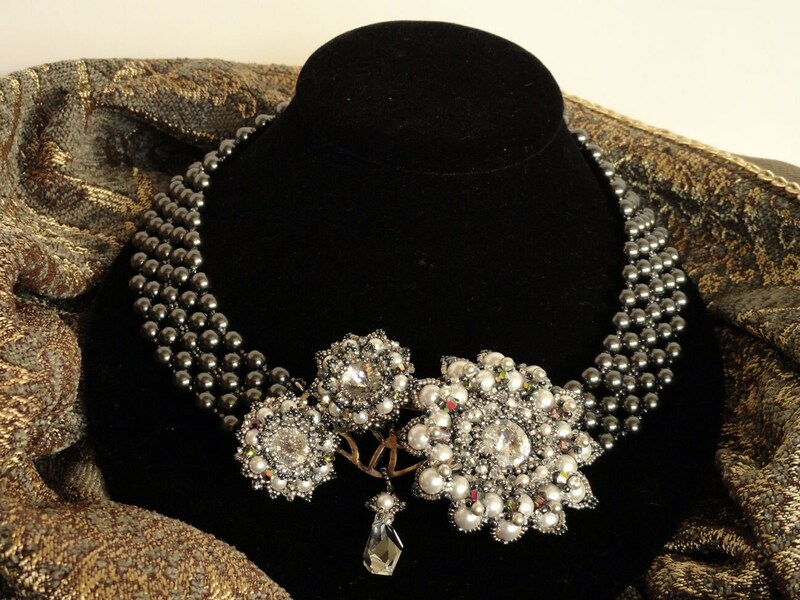 A single Swarovski crystal briolette dangles in the center for balance. 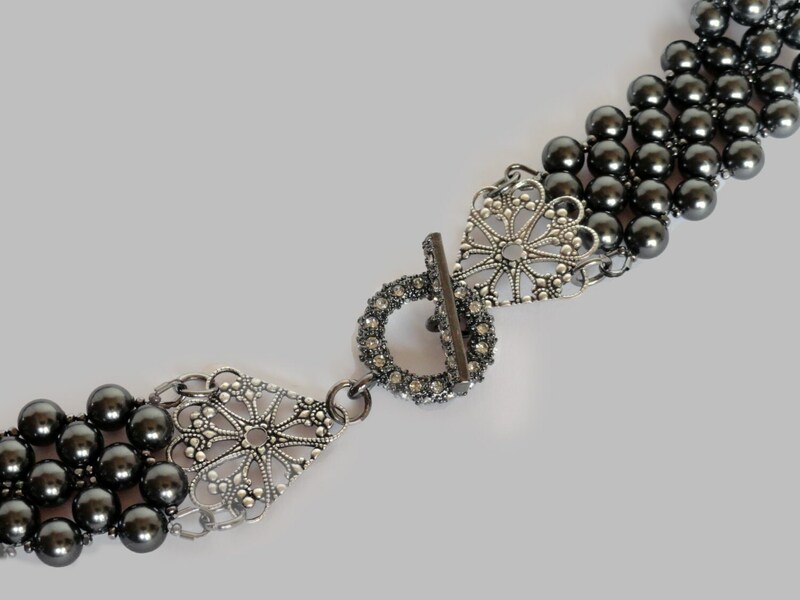 Four strands of smoky black Swarovski pearls are woven in a right angle weave stitch with champagne hematite Charlotte seed beads as enhancement. 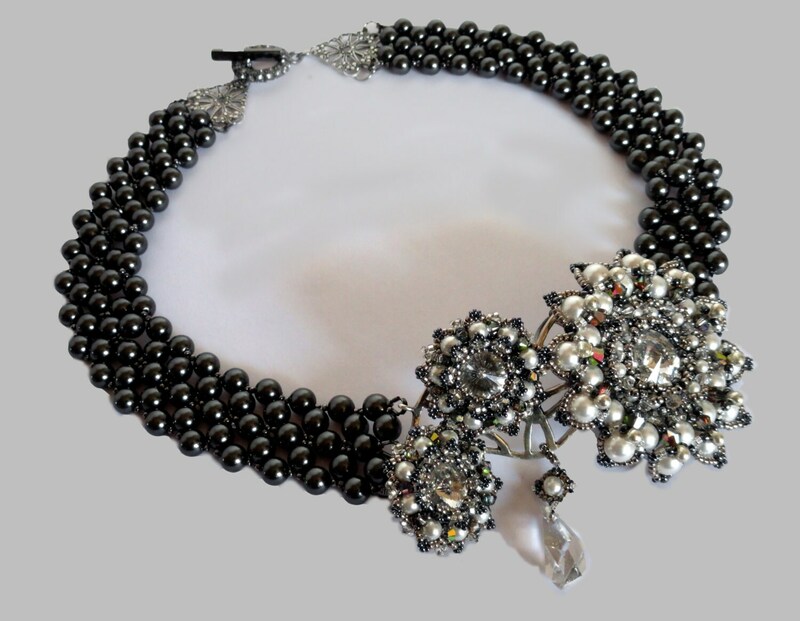 The necklace is finished with decorative filigreed ends and a crystal pave toggle clasp. You may also like the matching earrings in the Earrings section.